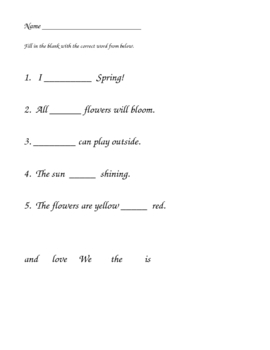 These three worksheets each contain 5 sentences with blanks in them. There are 5 Kindergarten core words listed below the sentences. The student needs to write in the correct core word. It can be used as a homework activity or in a Literacy Center. The sentences will need to be read to the students.